Bans Villa Homestay offers two beautiful rooms for our guests. Each room is beautifully designed and furnished offering a unforgettable stay. The Grand Suite at my heritage theme boutique home stay has a large bedroom with adorn sitting area, attached lavatory and all modern amenities. 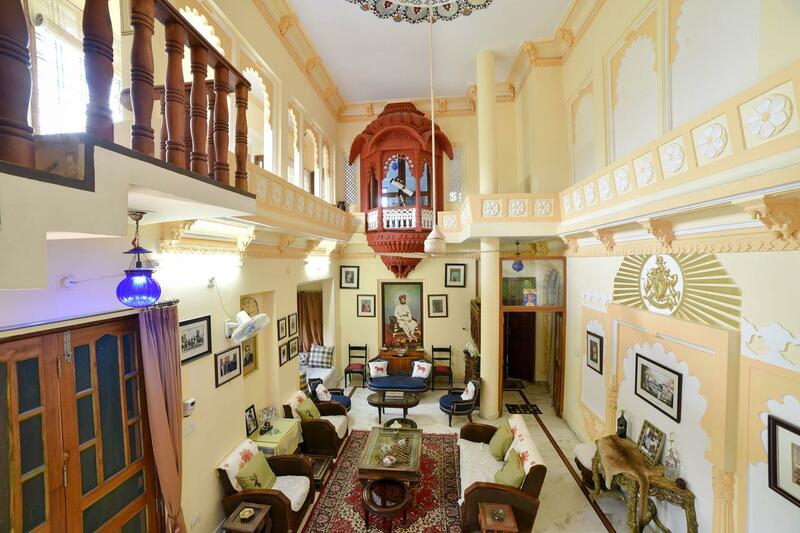 Guests can be assured of peaceful ambiance & comfortable stay with all the essentials of a personal touch as that of a Home right amidst the tourist areas of Udaipur. Laundry Facilities, Complimentary Newspapers in Lobby, Travel Counter, Front Desk, Disabled Facilities, Internet/Wi-Fi, Parking, Baggage Storage on Request, Backup Generator, Doctor on Call. Air Conditioning Room, Complimentary Toiletries, Basic Bathroom Amenities, Desk, H/C Water, Television Room, Complimentary Newspaper, Iron/Ironing Board, Internet Access, Safe Deposit Locker Facility. User reviews for "Bans Villa Udaipur"